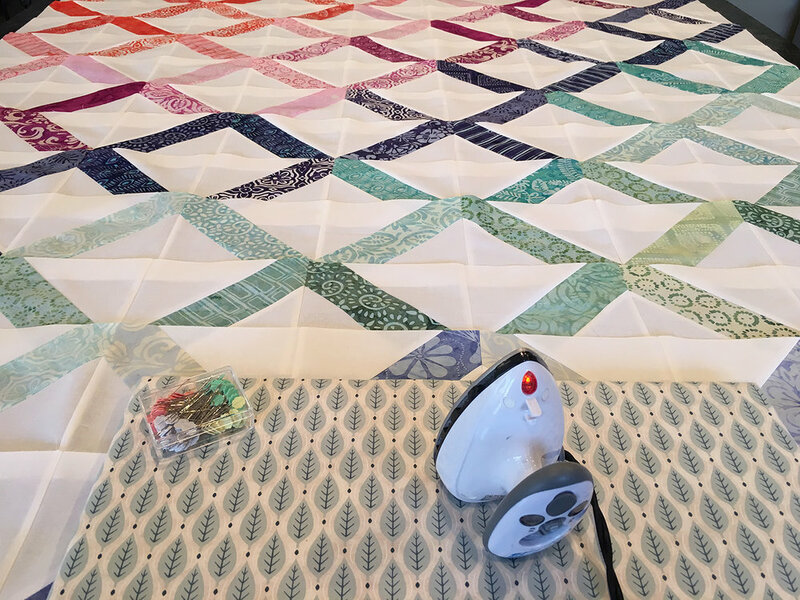 I thought I would pop in today and share my finished Latitude Lattice quilt top! I had a lot of fun putting these blocks together. I played with a few layouts, and decided on a gradient over a random scattering of color. What can I say? I can't resist a good gradient! Aren't the colors so pretty? The fabric is Latitude by Kate Spain for Moda. I used a jelly roll for the front and I have some yardage for the backing as well. This quilt is a gift, and I'm really hoping the receipient likes it as much as I do! You can find more details about this pattern in my previous post. I am brainstorming ideas for one more quilt gift that I need to have done in the next month or so. Does anyone else struggle more with gifts than anything else? I thought I'd leave you with some pretty fabrics I splurged on recently. 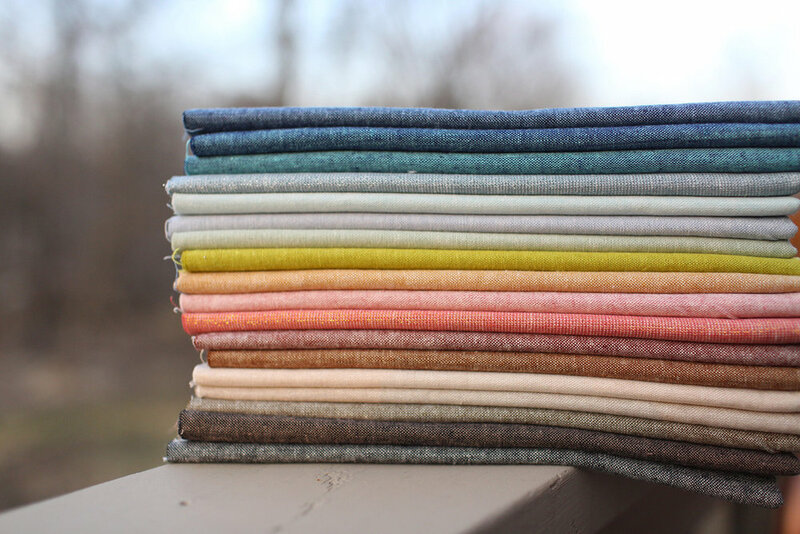 These are an assortment of Robert Kaufman Essex yarn dyed linens (a couple are from their metallic line). I'm not sure what I'm going to use them on yet, but I love them so much. Unfortunately I'm not 100% certain what order they were in when I took this photo, but I bought Aqua, Berry, Black, Chambray, Flax, Malibu, Nautical, Peacock, Pickle, Rust, Seafoam, Dusty Rose Metallic, Water Metallic, Oyster Metallic, Olive, Nutmeg, Espresso, and Leather.